When I first realized, that I was going to have to transfer colleges I was heartbroken. I was bitter. I was angry. My four year plan was in the trash. I loved my school and could not imagine myself anywhere else. This summer I have been looking back and realizing how unhappy I was and wishing I would have possibly known how happy I’d be in my new home now! I wanted to share this with all my college fashionistas and fashionistos to let you guys know it’ll be fine! For real. With school coming up soon, I’m sure I have a reader who is going through something similar. Heres 5 tips to tackle this life change head on and in a positive light. The world is not over. You will meet new people, you will make new friends. - Positivity is important when making a big life change. They say great things happen outside of your comfort zone and I wouldn’t take back any of my experiences as a transfer. I met great people and friends who I now can not imagine my life without. - No more fear of repeating the same outfit! When you move to a new place you can decide to completely reinvent your style (which I played with) or you could wear all your favorite outfits the first week without having to spend a dime! Finding small things like this to focus on really make a difference when adapting to a new place. I loved planning out my outfits, so I would have something to look forward to, when you dress well you feel well! It works! Do not expect anything, and never compare. - One of the biggest mistakes I made was secretly expecting my new school to be similar to my old school. It is like treating your new significant other like your ex, bound for trouble right? Walking in to new places with little expectations helps prevent disappointments. You can truly accept your new home when you stop measuring it up to your old one. about your places from the past. run. Things aren't perfect over night, but the small victories win the war! Change can be good, if you have the right perception of your circumstances. - Sometimes things happen in our lives called “interruptions,” that ticket we got unexpectedly or a flat tire on a tight scheduled morning to work. We automatically think of these things in a negative light because at the time they serve no proper purpose for us, instead of realizing that sometimes bad things happen to prevent worse things. Learning to be content with our interruptions and accepting our situations as they are, can only help with building a positive mindset and a positive life. Get involved in your new surroundings and focus on the positive and eventually everything negative will become negligible. I really hoped this helped some of you! 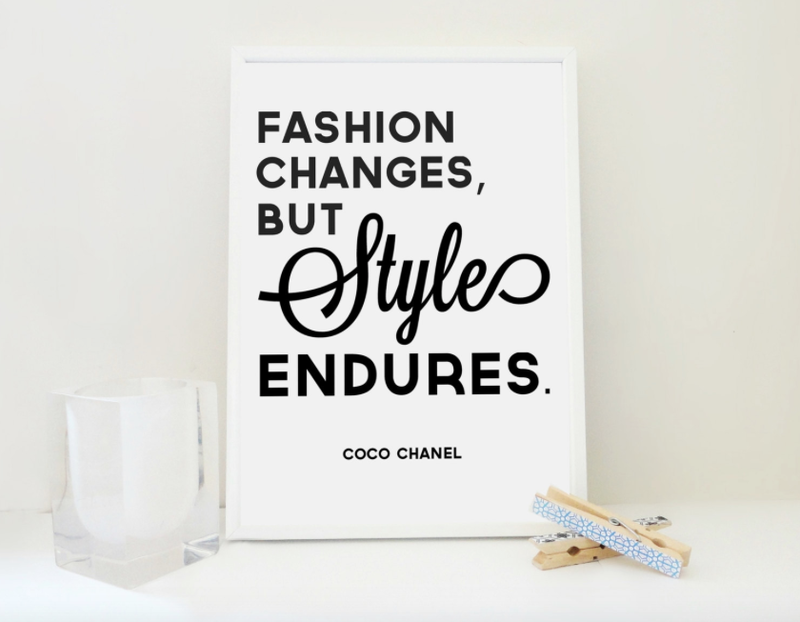 Enjoy your summer and keep your head up, and don't forget fashion makes everything better!